AC motors are unique because they are built to run at specific speeds regardless of their design or manufacturer. The speed of an AC motor is dependent on the number of poles it has and the line frequency of the power supply, not on it’s voltage. Speed, torque, power and voltage are all important considerations when choosing a motor. In this two-part blog, we’ll dive into the specifics of motor speeds. 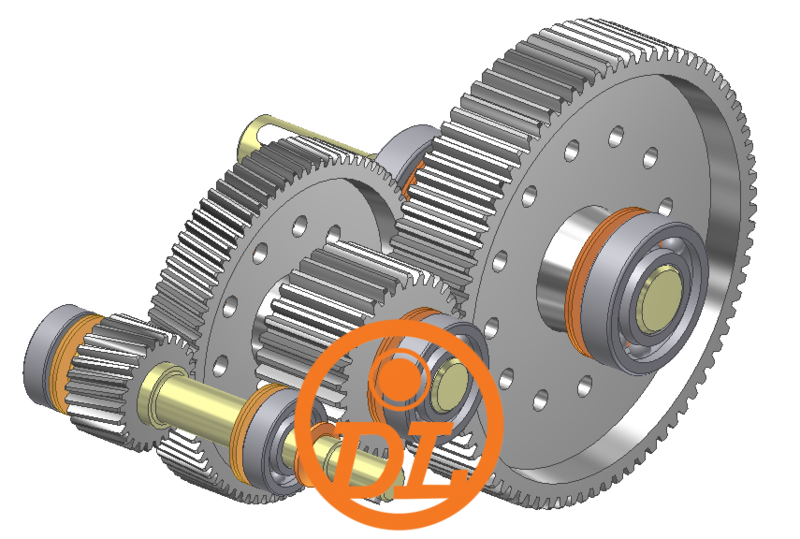 In Part 1, we’ll discuss how speed differs between motor types, and in Part 2, we’ll look at when to consider adding a gearbox to the application.Common AC motor units are constructed with either two or four poles. A magnetic field is created in the stator poles that induces resulting magnetic fields in the rotor which follow the frequency of the changing magnetic field in the stator. Two pole AC motors operating at 60 Hz will always run at approximately 3600 rpm, and four pole AC motors will have speeds around 1800 rpm. Keep in mind that the speed of an AC motor will not run at these exact numbers—and will be slightly lower—because there is a certain amount of slip that must be present for the motor to produce torque. The rotor will always rotate slower than the magnetic field of the stator and is playing a constant game of catch up. Although permanent magnet DC motors are also built with poles, these poles don’t impact speed like with AC motors because there are several other factors in play with DC motors. The number of wire turns in an armature, the operating voltage of the motor, and the strength of the magnets all affect motor speed. If a DC motor is running on a 12 V battery, that is the maximum voltage available to the unit and the motor will only be able to perform at a speed rated for 12 V. If the battery is low and supplying less voltage, the speed will decrease accordingly.